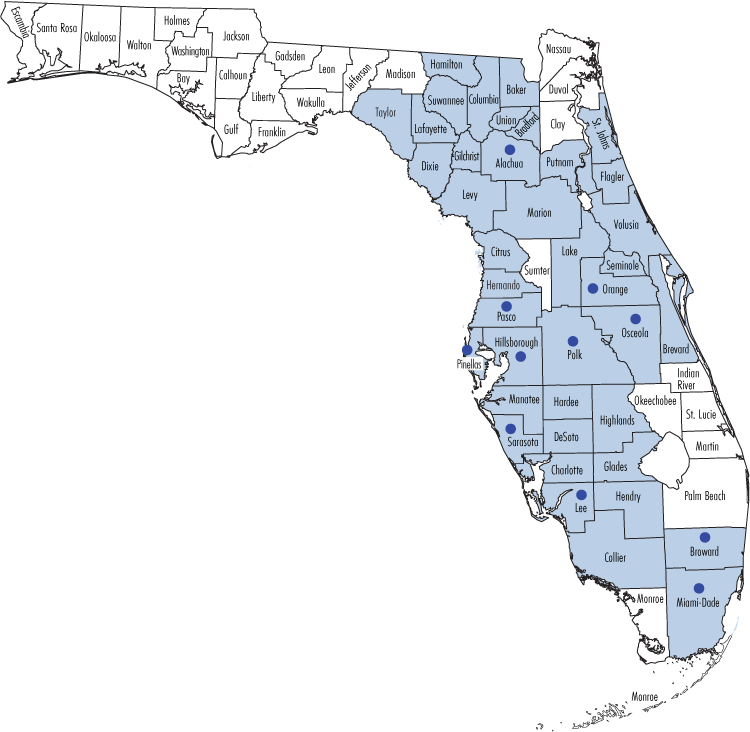 Our main office is located in Clearwater, Florida and we have primary service centers in various locations in the Tampa Bay region including: Pasco, Pinellas and Hillsborough counties; and extension offices in Miami-Dade, Broward, Polk, Sarasota, Lee, Alachua and Osceola counties. Our broad–reaching, diverse programs and services impact families throughout the state of Florida and well beyond our service centers in 40 Florida counties. Use the contact form on this page and our team will get back to you. Please indicate your county so we can best support your needs.